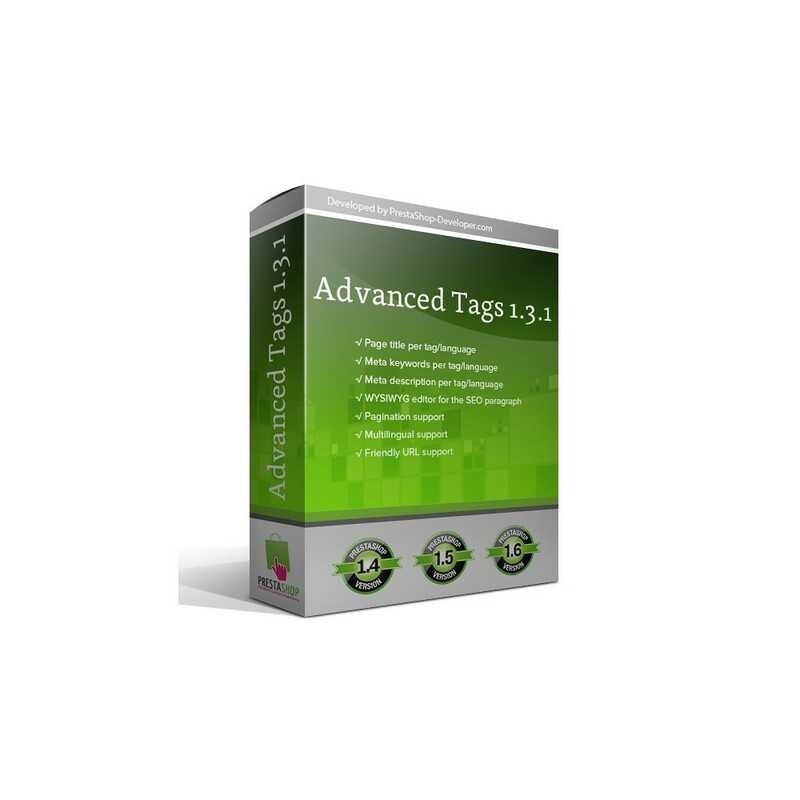 Advanced Tags is a SEO-oriented module that steps upon the core product tagging functionality of PrestaShop and extends it to a complete new level of SEO-optimization - keywords centered optmization based on tags. As a result your site will get more traffic from the search engines. 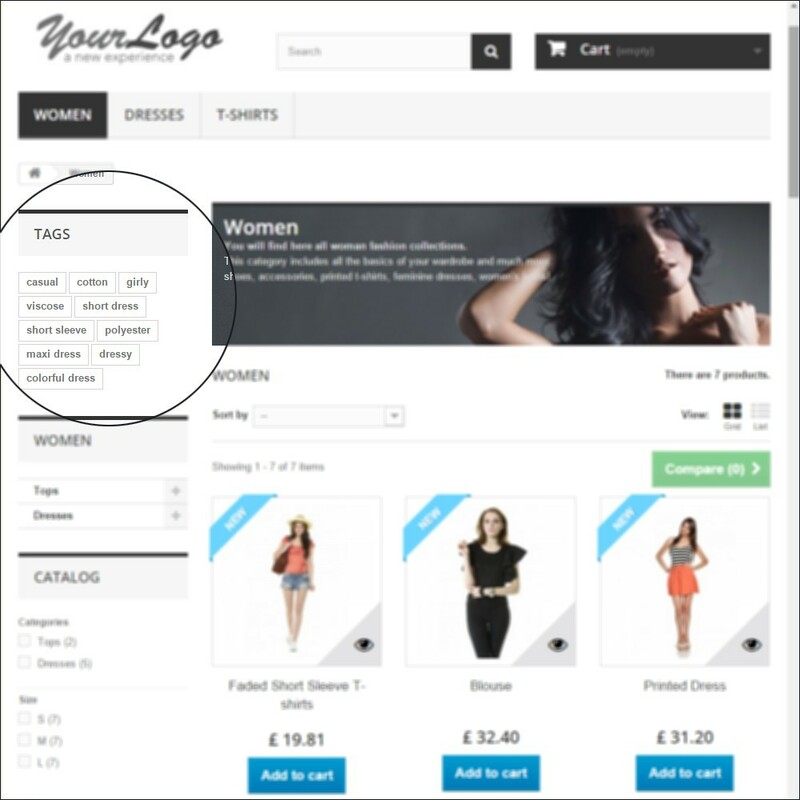 Make your shop rank higher in search engines by applying essential SEO techniques: Canonical URL, hreflang, next/prev tags, 301/302/303 Redirects, Auto-Fill Meta Tags which in turn helps bring more potential customers and increase conversion rates. Any ideas and/or suggestions are very welcomed. Cheers! 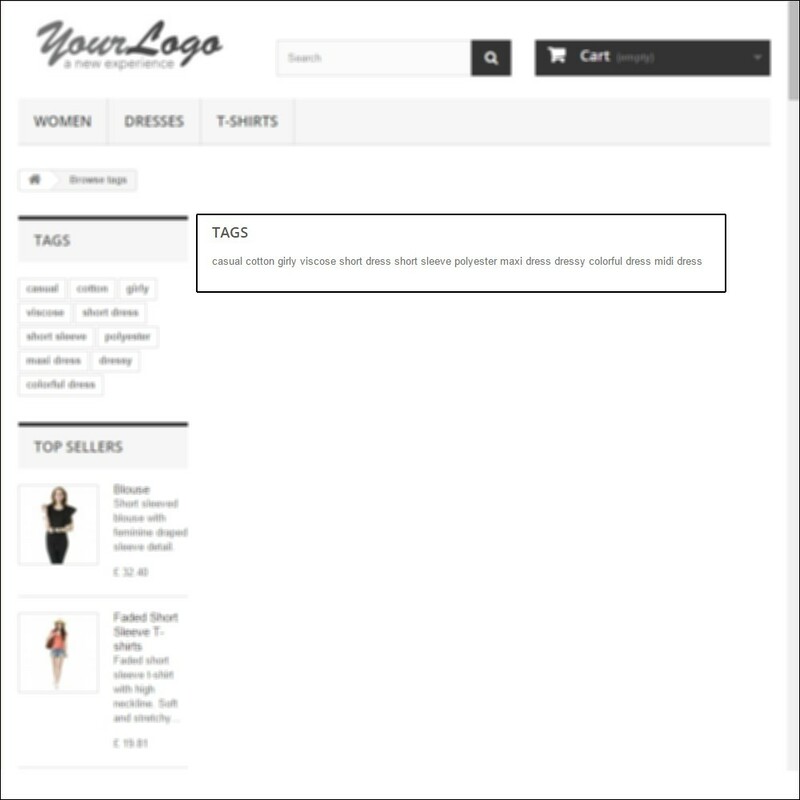 Improved: Front Store » Tags at “All Tags” page are ordered by Tag ID, after the “times used” ordering. This way after a refresh the tags will remain on the same positions and the search engines will not need to reindex the page. 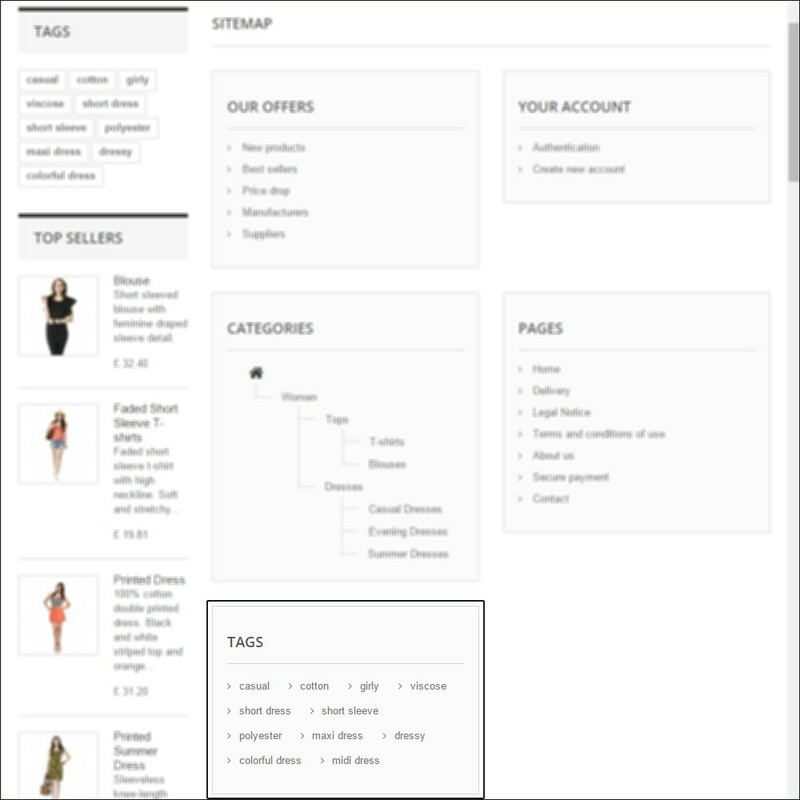 Your customers will have more informative tag page, with the description that you can add at the BackOffice and will have a separate page where they can see all product tags. 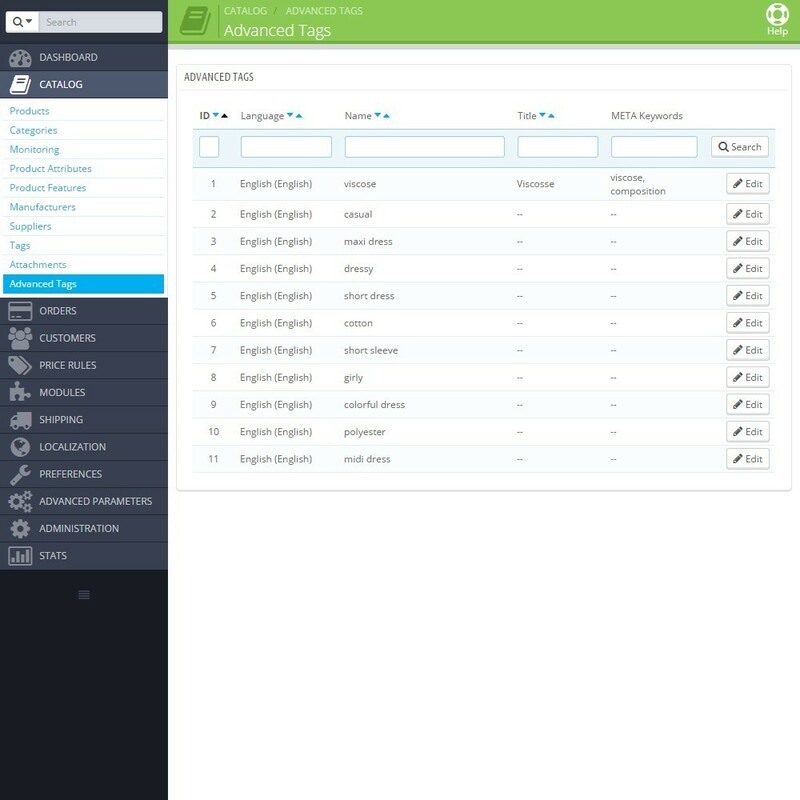 Also they may be able to see the tags at the sitemap page (which requires a small template change). Back Office » Modules, click on the “ Add a module from my computer” link. From the “Add a new module” block, “Module file” panel (right) click “Browse”, select the module .zip file and click the “Upload this module” button. 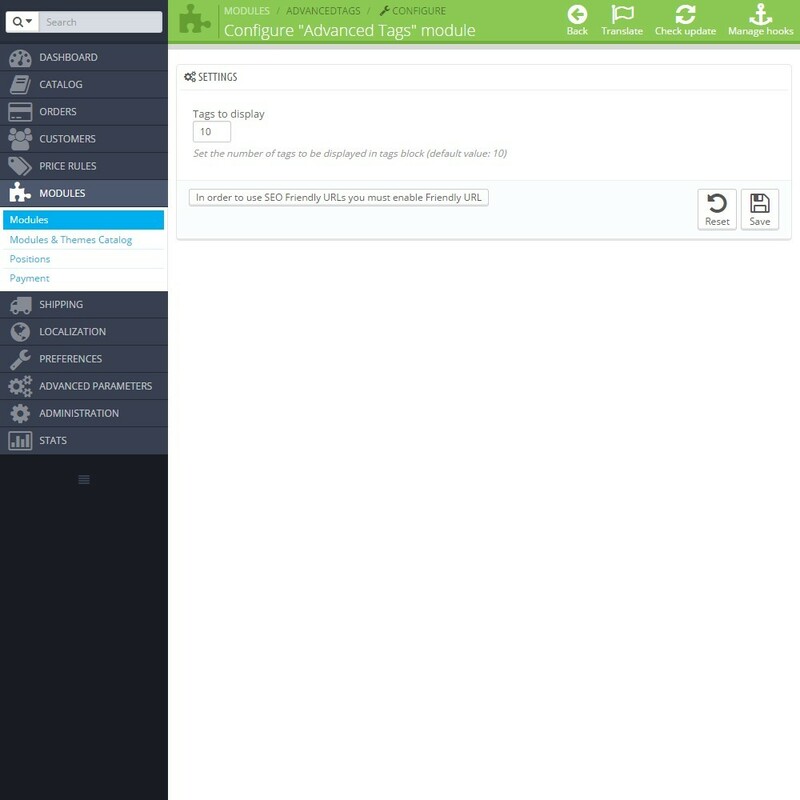 Back Office » Modules » Modules, click on the “Add new module” icon. From the “Add a new module” block click “Browse” (“Choose a file” in 1.6), select the module .zip file and click the “Upload this module” button. 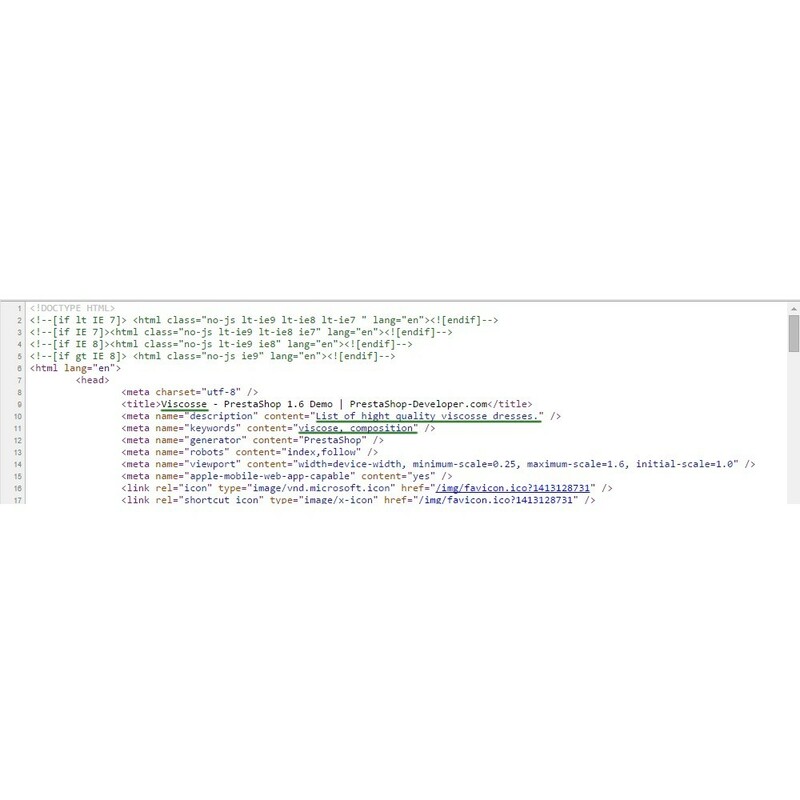 Unzip the .zip file of the module and upload it's content into the “modules” folder. Click on the “Install” button in the right side of the module row.